Come see our new tasting room and patio at our Spring Open House on Saturday, May 26 from 5 to 8 pm. Complimentary admission. 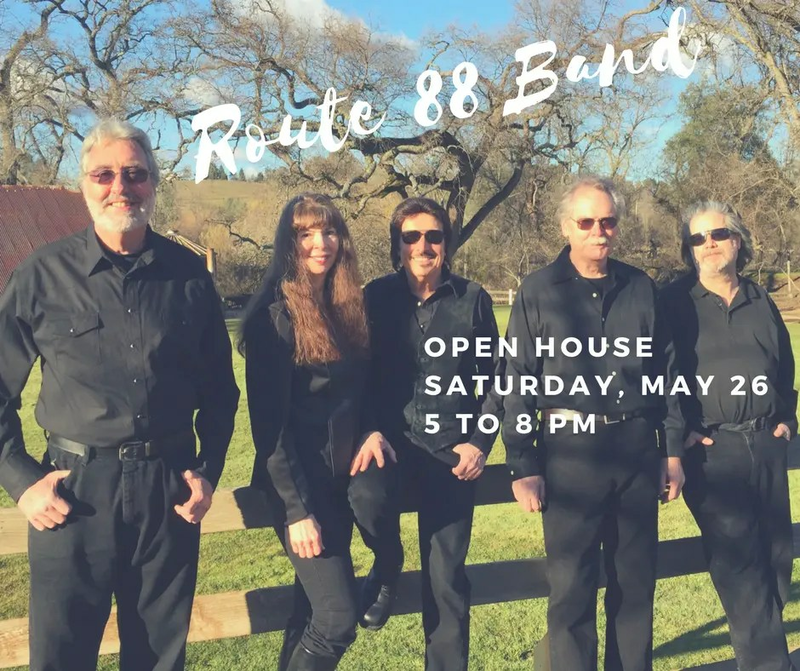 Wine tasting, food truck, and live music by Route 88 Band!